It is that time of the year again , when all of you are wondering about when MCAT is going to be conducted. F.Sc exams are being conducted, and you are all worried about Date of UHS MCAT 2014 .
well don't be worried here I am with some information and hopefully it will be very handy for you. As I have already explained Syllabus of MCAT 2014 now we see about date. UHS has tried a lot of things over the time, They tried once to conduct the test before F.Sc exams. I said they tried but they never succeeded in doing that. Then Date of MCAT was announced to be July last year, Still they announced it but never succeeded in conducting the test in July. with this background in mind lets see when MCAT 2014 will happen. Now we talk about date of UHS MCAT 2014, No matter whatever the rumors are these days. I don't see test to be before September 2014. So I believe all of you will have a lot of time to prepare for test, so when in September test will be held. 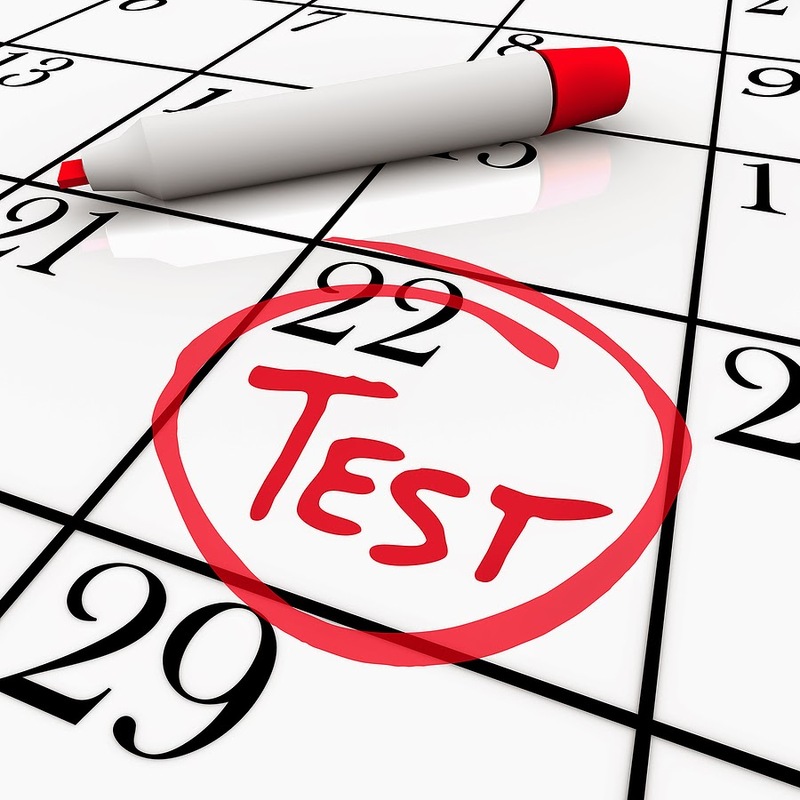 usually dates differ but this year as 21st September is a Sunday so test can occur on 22nd of September. As I said date can differ but in my opinion the test will never happen before September 2014. So I will say revise your Books before August and after 25th August just revise them again in 15 days. So you will not have to worry much on test day. Think a lot before the test date so you don't have to think on the test day. I am really glad to see your blog. I did F.Sc. in 2005 and back then there was no such online guidance available. I wanted to ask you a question. I want to take MCat again and as I mentioned its been almost a decade. Can you guide me how can I prepare for it and give me some tips also. I still have a few months left and I believe that I can prepare for it. Also, the syllabus thing has made it more convenient. Looking forward to hear from you. Now How to prepare for MCAT , Here on this Blog a lot of guidance is available, Also we are starting Entry Test Class where you will get thousands of question , Though for fresh students I will never suggest joining academies I will let them make their decision, but for you I think it is good idea to join an academy if you want to because that way you will get a good revision of the books. Yes MCAT Date might be in September sometime so you have plenty of time , work Hard and leave everything on Allah if he wants you to be a doctor , nothing can stop u !!! You should buy F.Sc Text Books and Go through all of them, I will post about strategy to get through test and that is very nice you are educating yourself even after marriage. I am also in favor of this, we don't have academy and nor we plan to make one offline. team is helping students in chat session for free. For you I will say join any academy so you get revision but for all people doing fresh F.Sc they don't need academies that much. One more thing, I hold a BSc degree in Biological Sciences. It will not count for an admission in a medical school? Right? i like it,u r doing good job. Hi...i wanted to ask you that student with 60% marks aur above 60% in fsc can give a NUST entrance test? aoa!I want to ask how should i enroll myself for mcat? UHS will start the Admissions for MCAT , They usually happen in the medical college of your city or division or sometimes they might change policy and make more or less centers for admission, You will have to submit your form there. i repeated entry test last year.i secured 869 marks in fsc bt percentage was low.now i have part one bsc exams bt still i wanna give entry test.what do u think.what should i do. can any body guide me.i dont know how to prepare for test.last year i prepared hardly bt still mch mcq,s were wrong. I am afraid Hafiz you should continue your B.Sc.First your F.Sc score is not enough secondly these days MCAT has so much competition that you need to give your every bit of attention to it. While you are doing B.Sc it is very hard chance you will score more than 1050 in MCAT which you require to get admission. i ve read on many forums that mcat will held on 30 aug,, any latest infi u have? Yes I have read the same though no official date has been announced by UHS yet. those who are not able to get admission in medical cologes....so what should be the other relevant option.....???? Yes I heard the same story in Dawn, UHS may surprise you but if the date is not announced in early july. Test will not happen in 30th August. i have passed my 12th board examination so am i eligible for the mcat test??? a.o.a sir could u plzzz guide me what should i do excpt MBBS.. !! kis cheez ka scope hai now a days?? i want to ask, is there any marks detection in repeating mcat test or any subject?